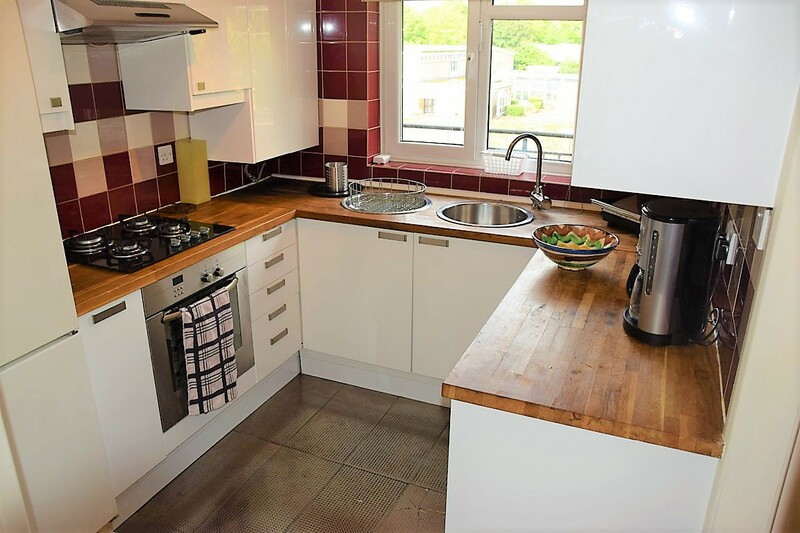 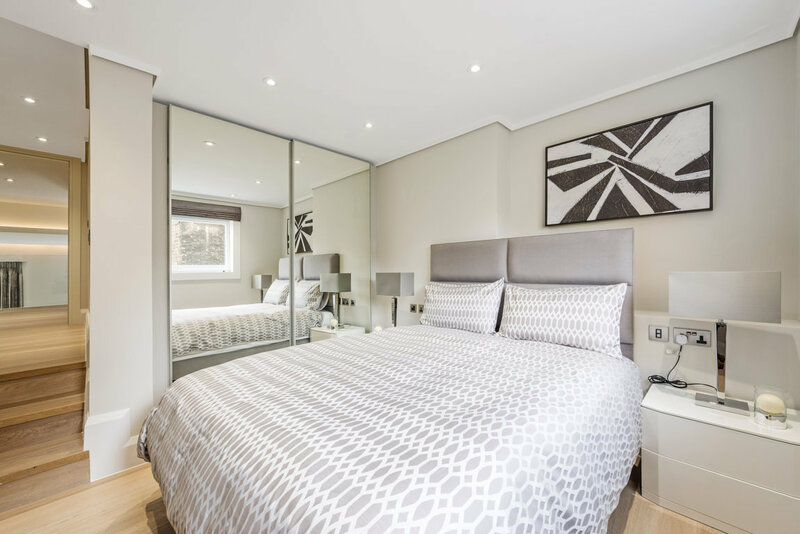 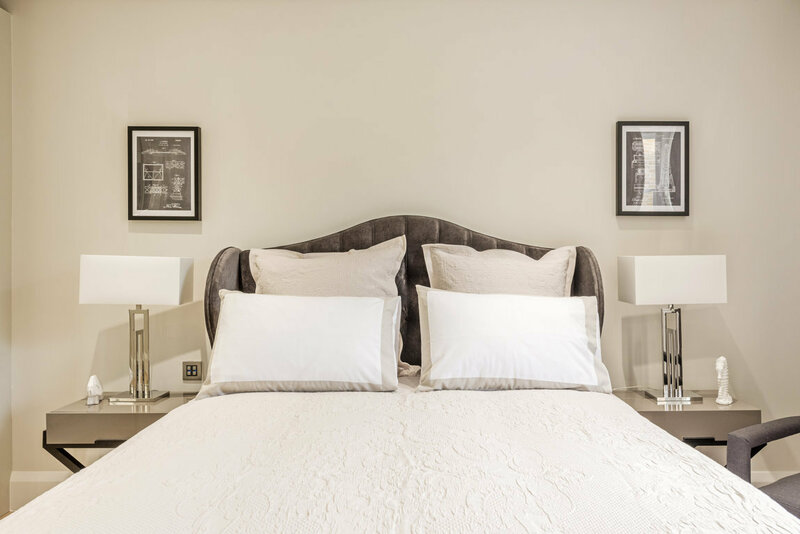 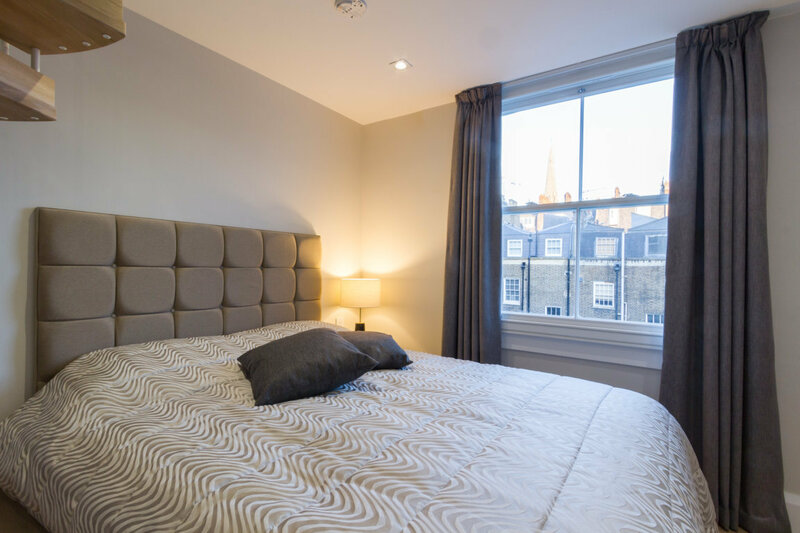 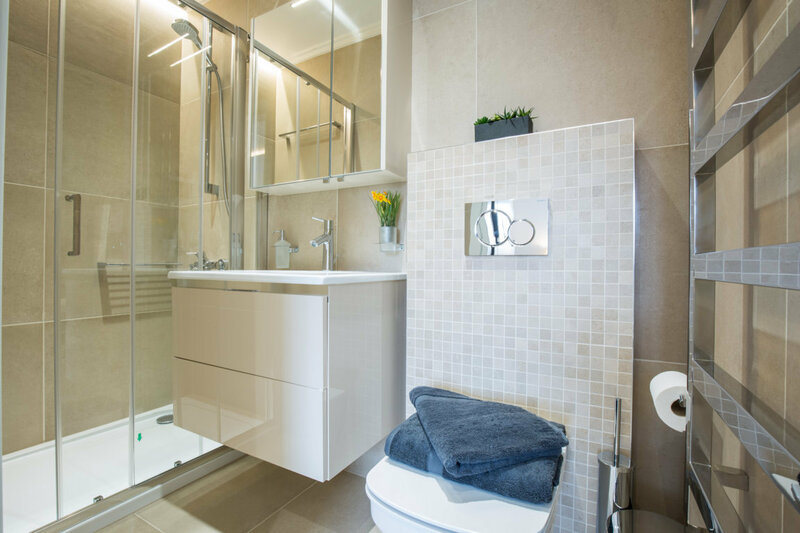 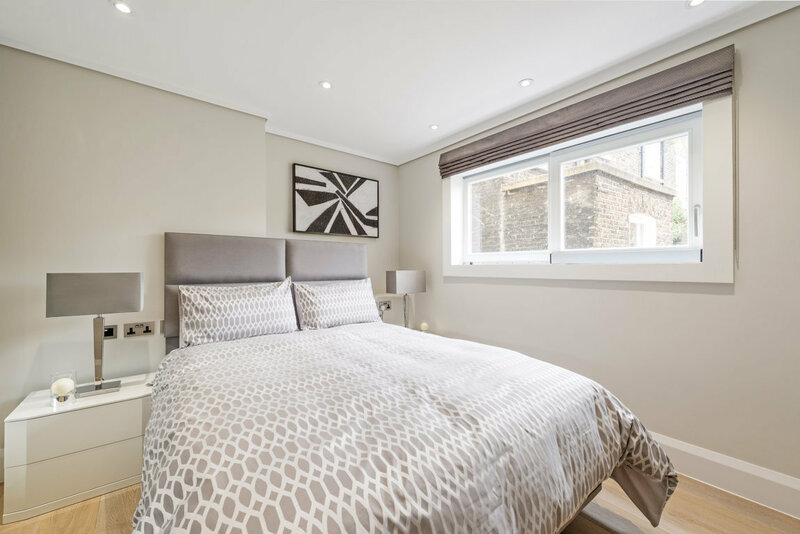 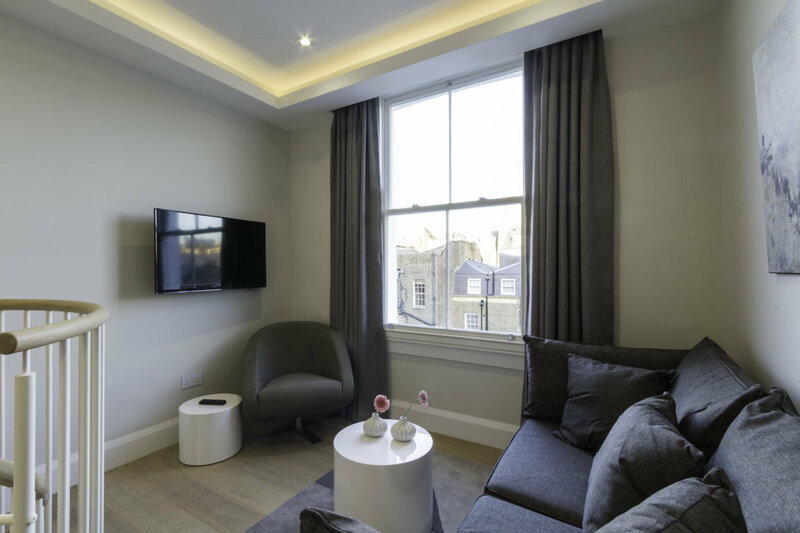 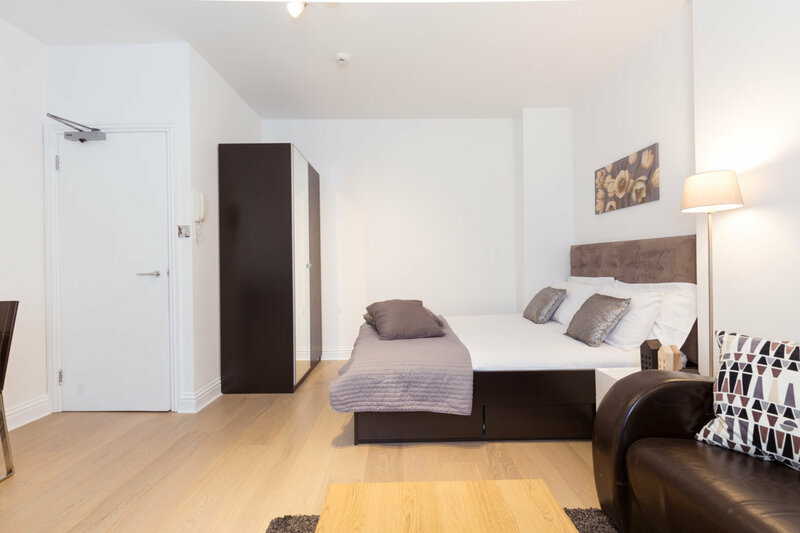 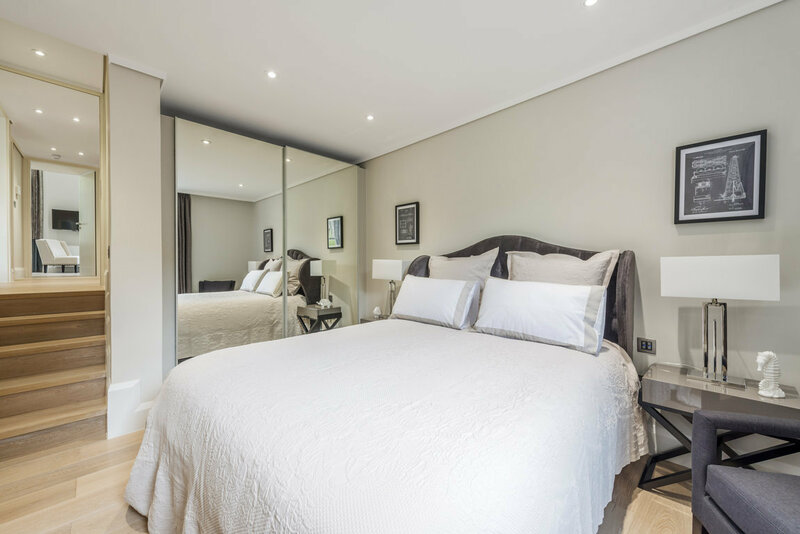 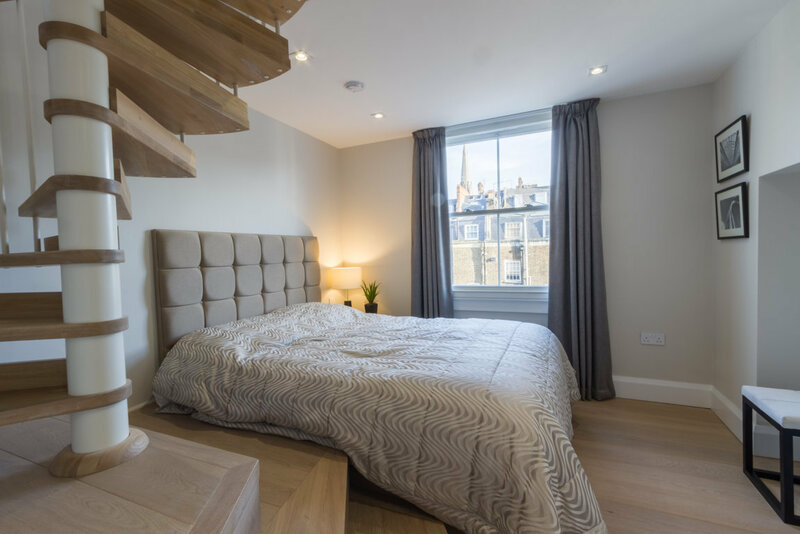 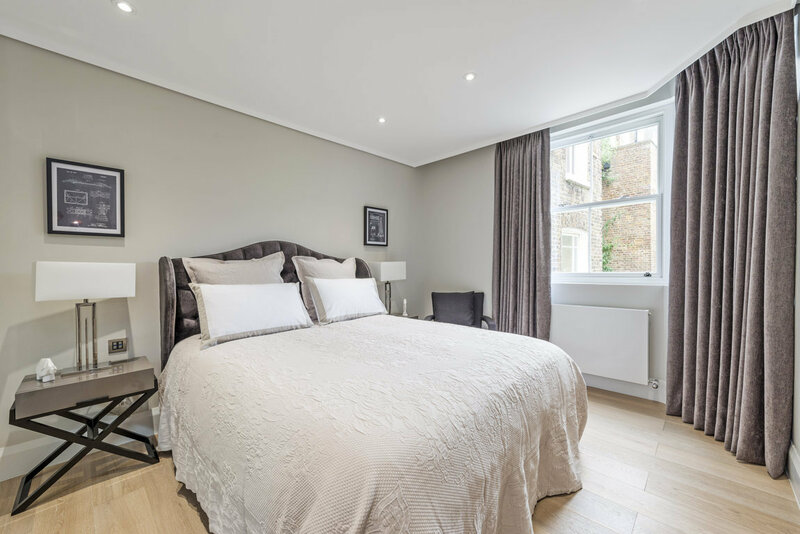 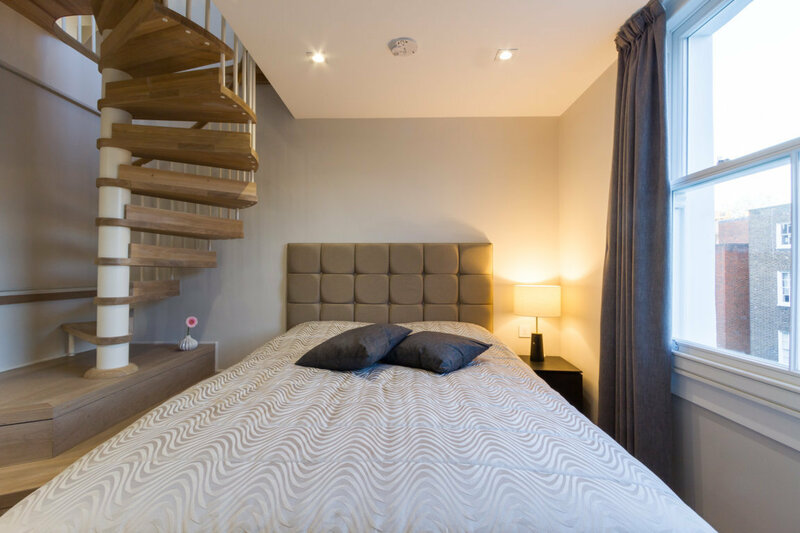 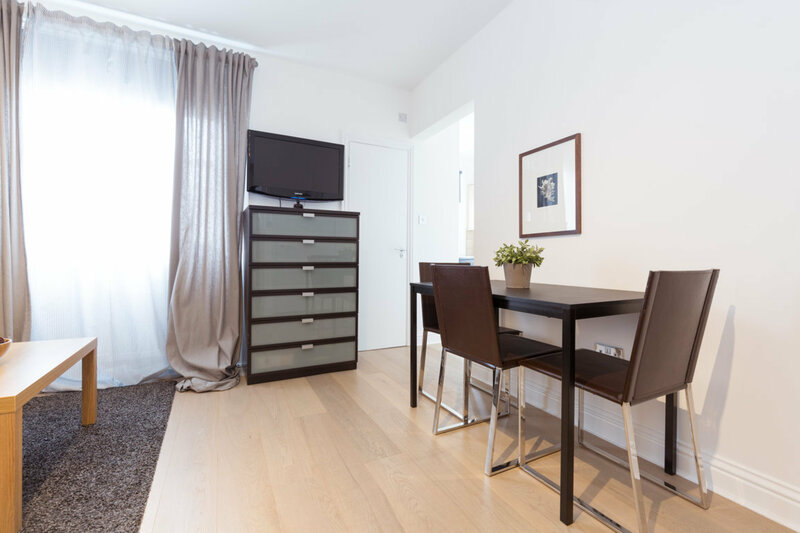 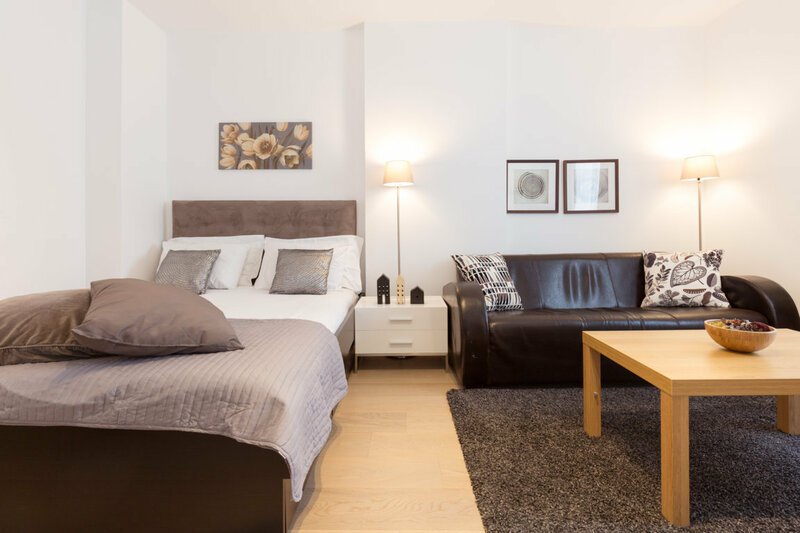 Situated in West London and providing modern and spacious serviced apartments in Hammersmith. 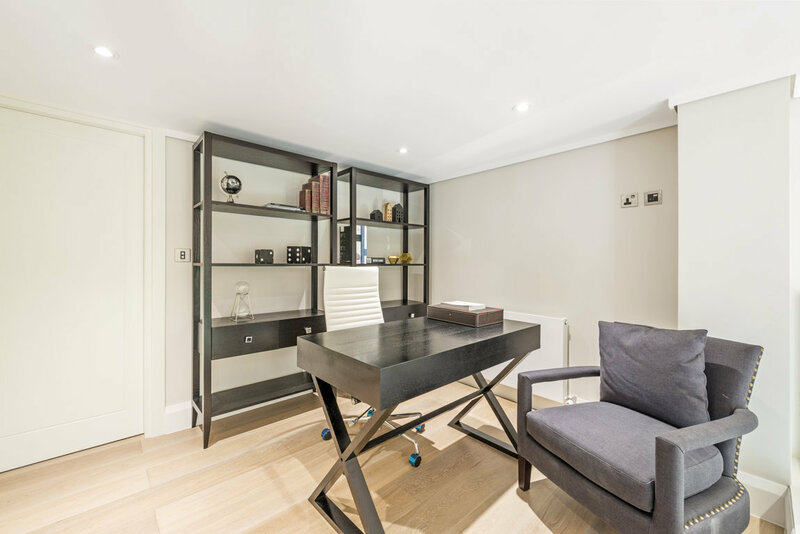 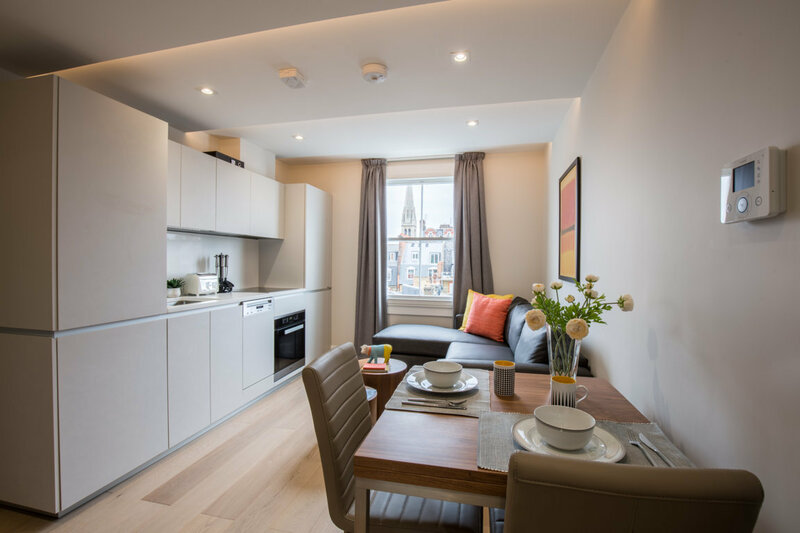 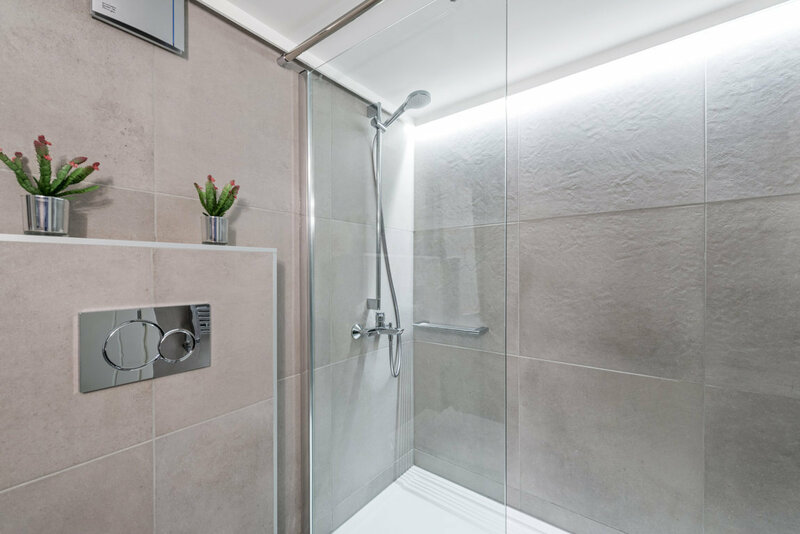 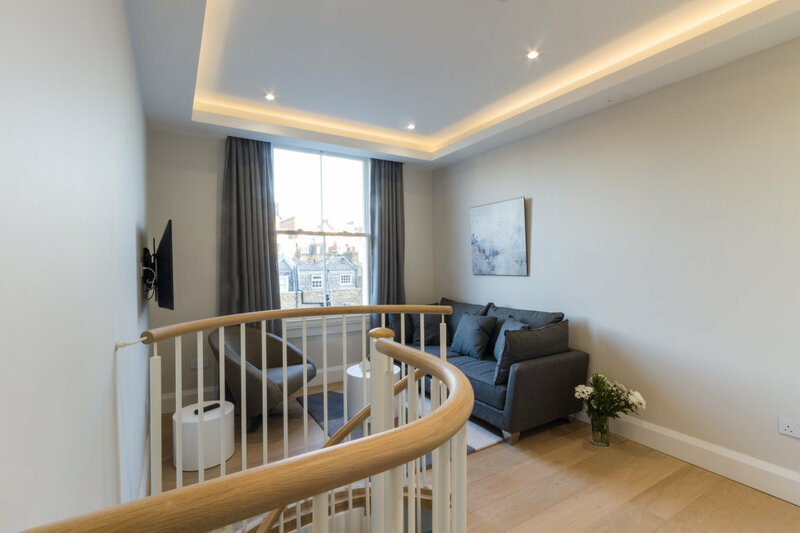 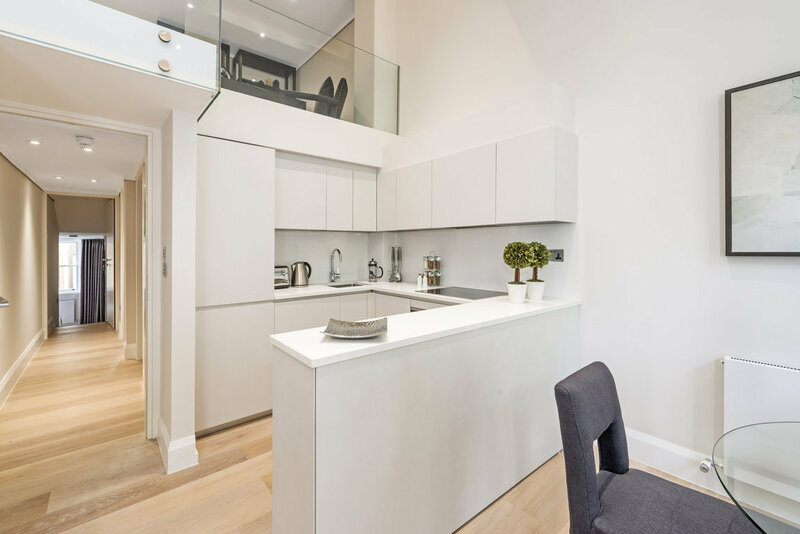 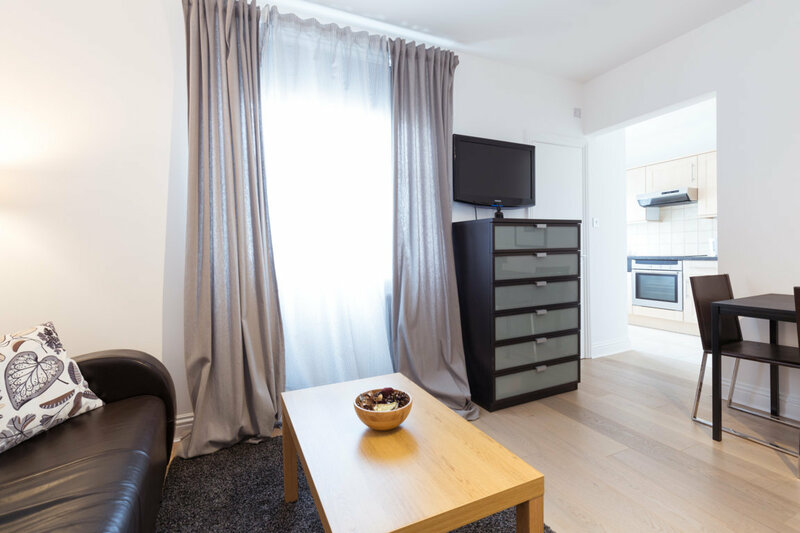 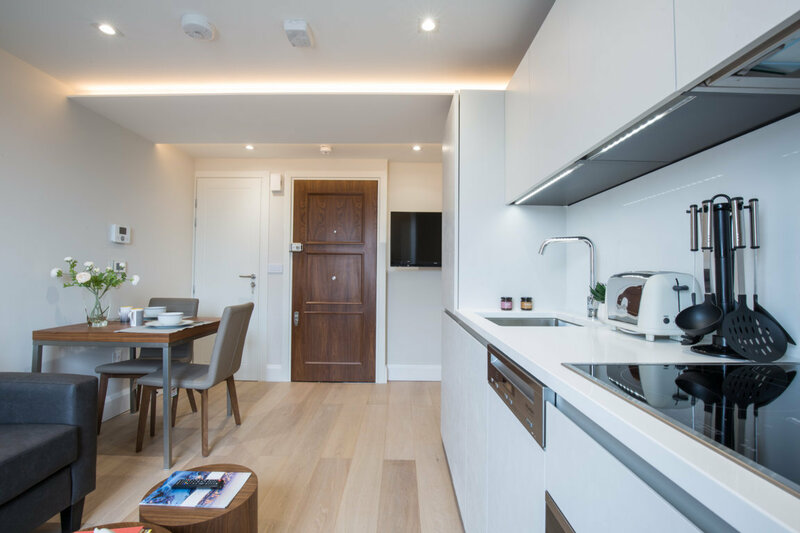 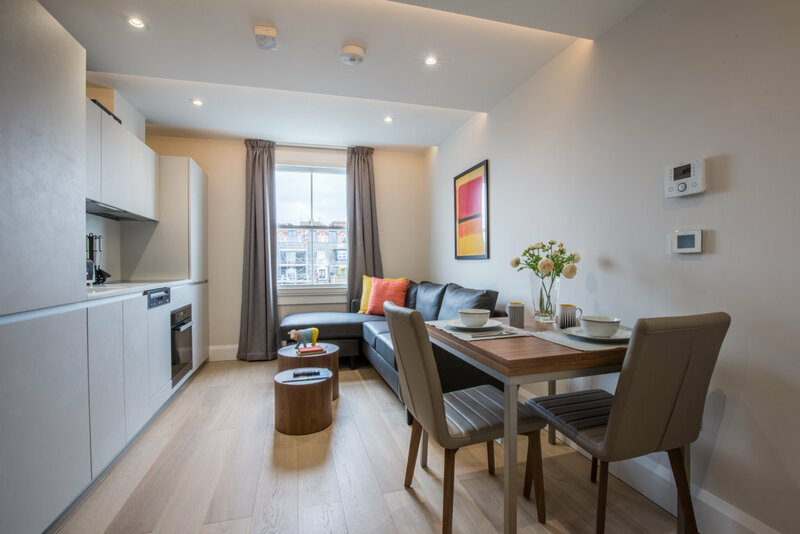 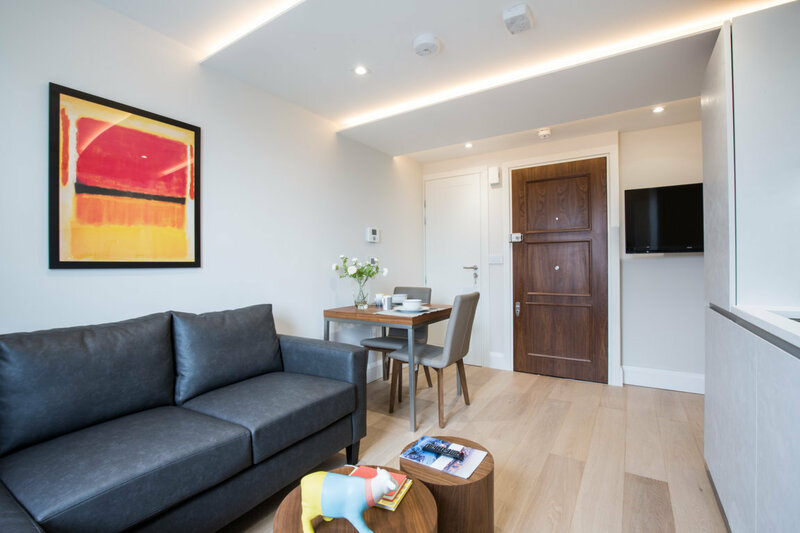 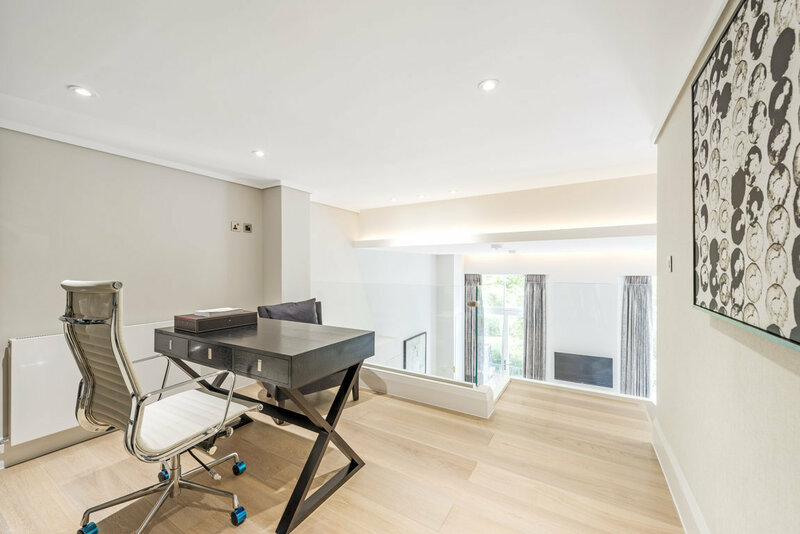 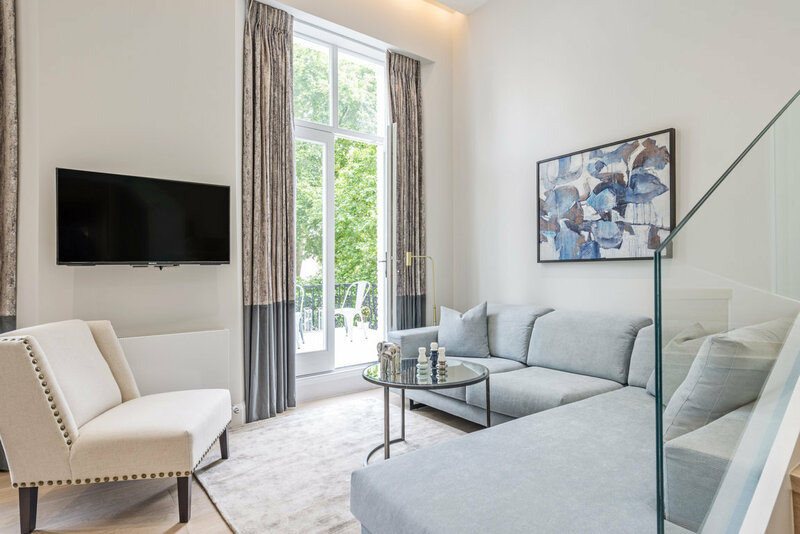 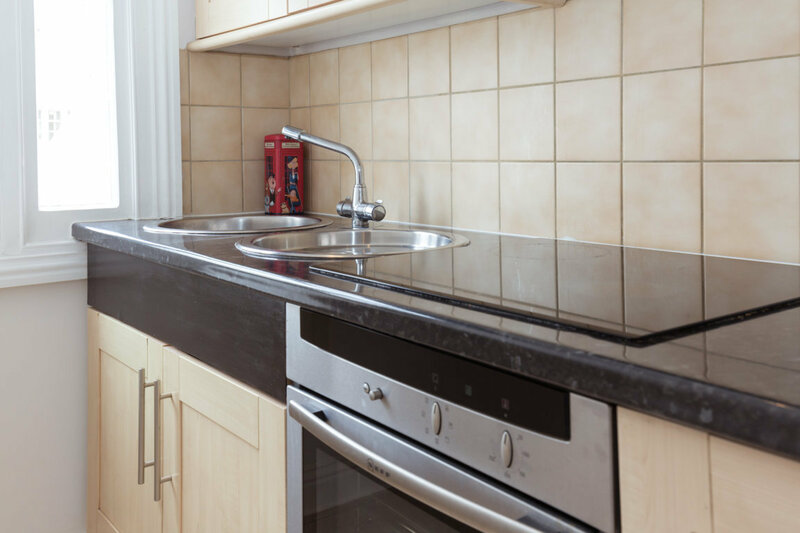 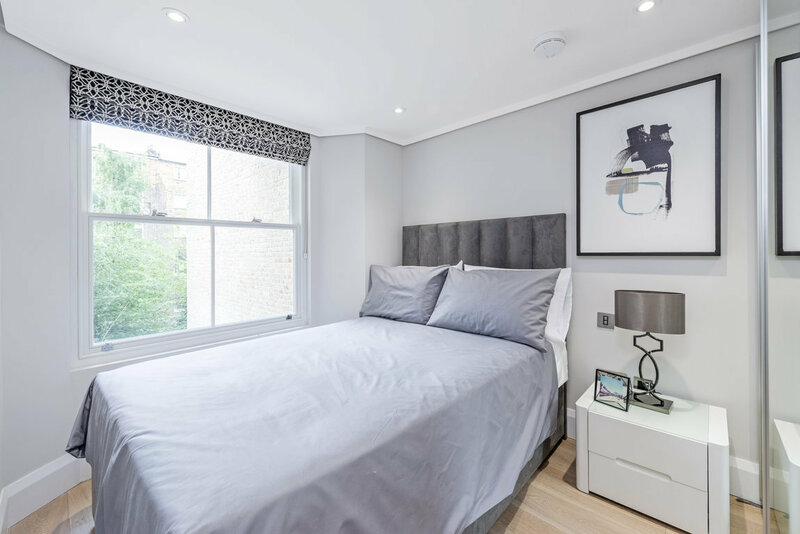 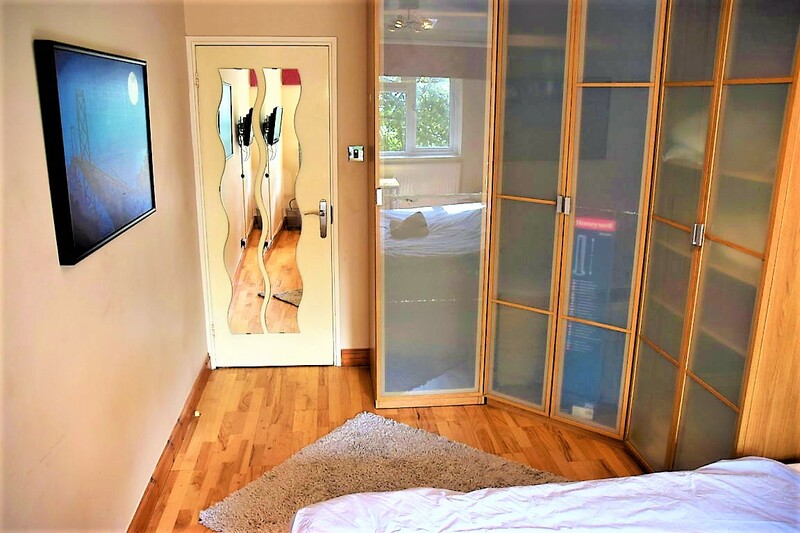 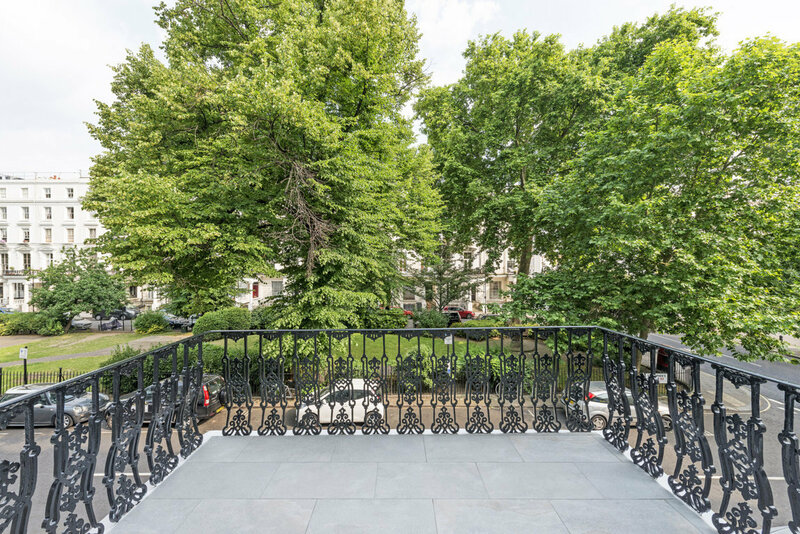 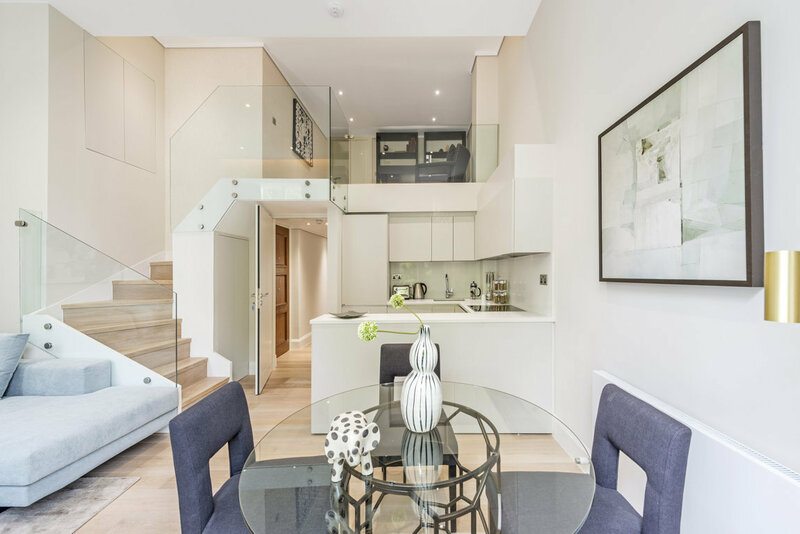 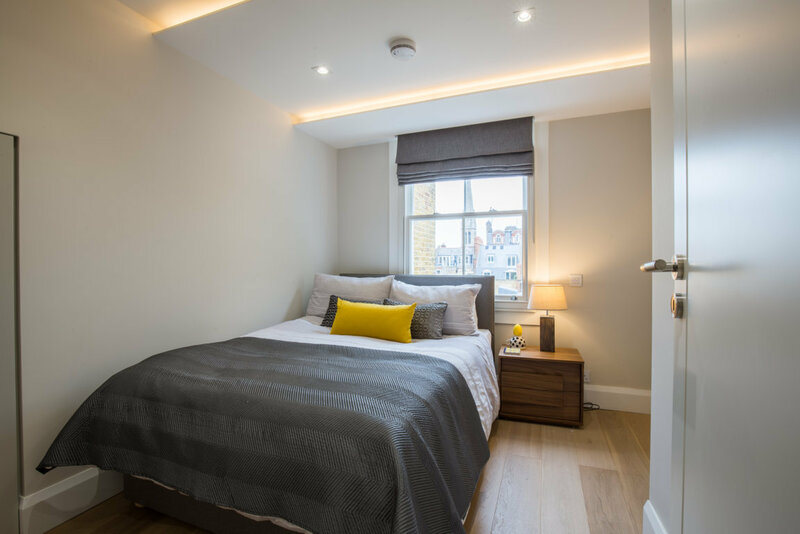 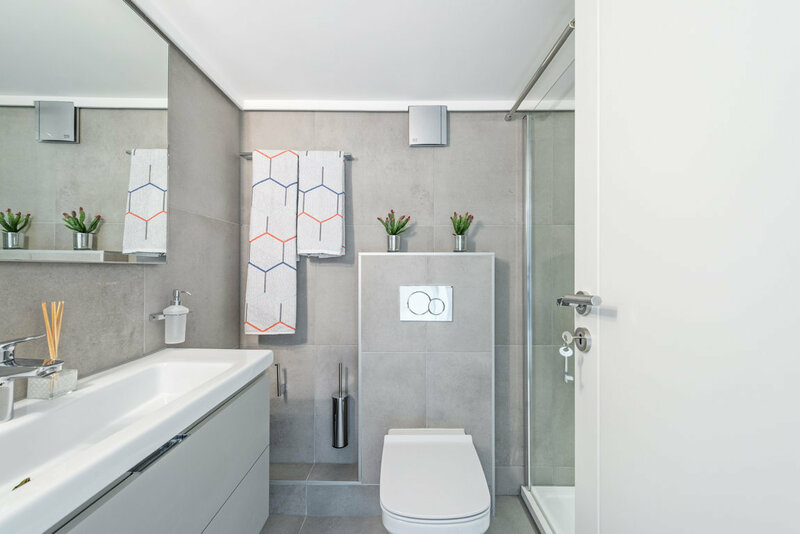 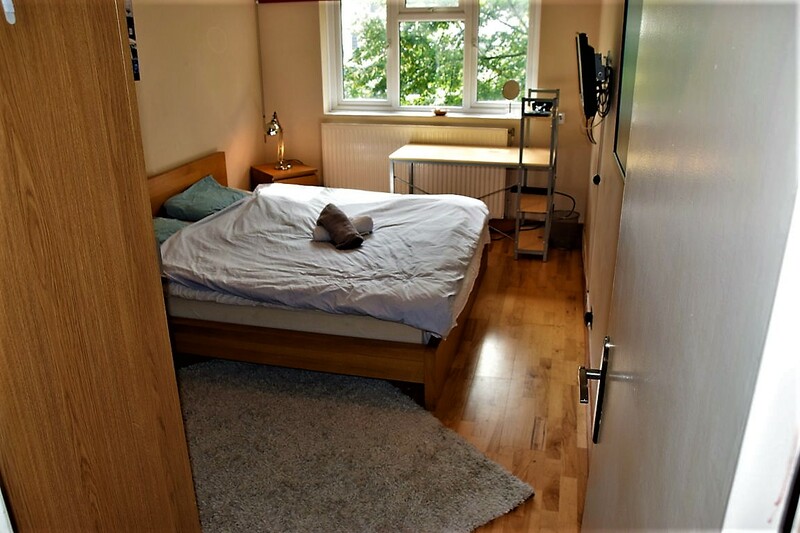 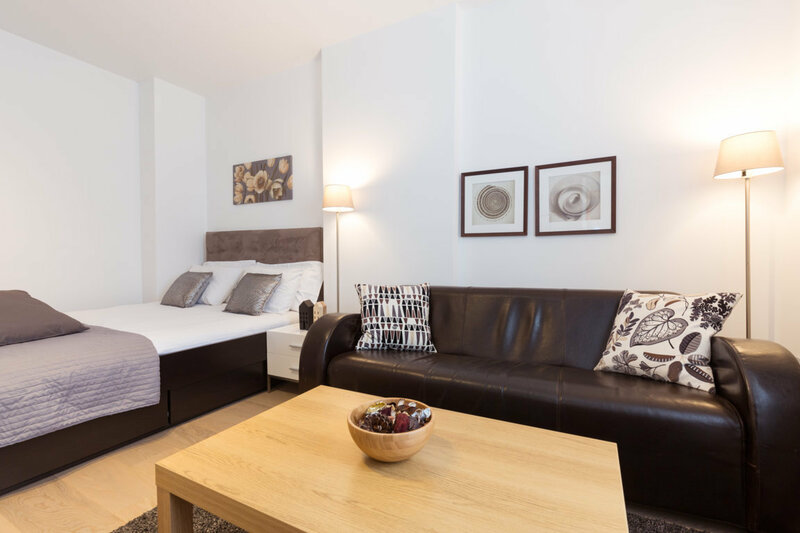 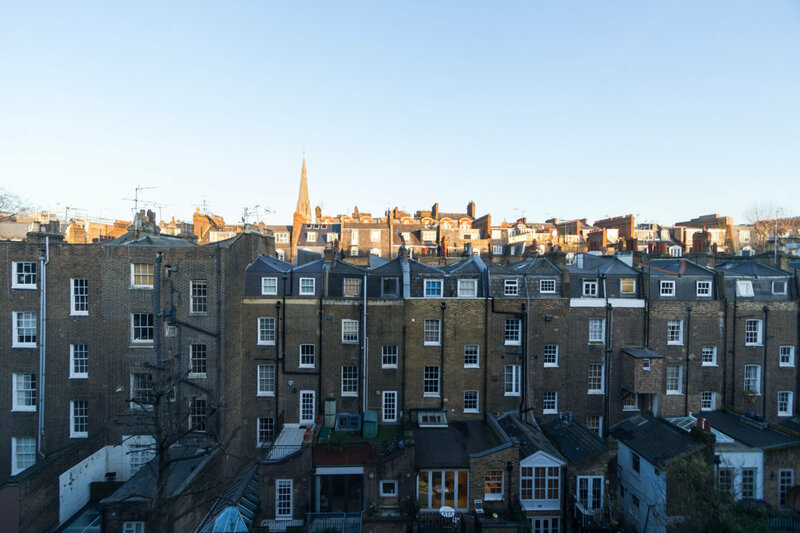 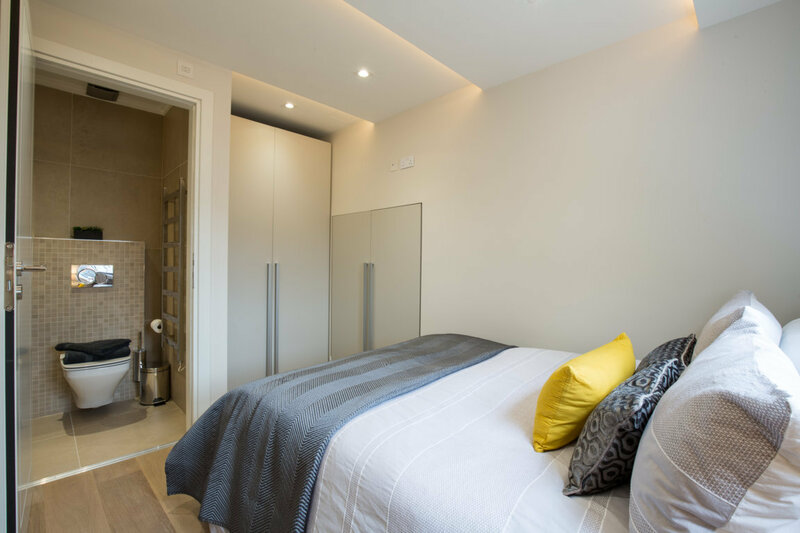 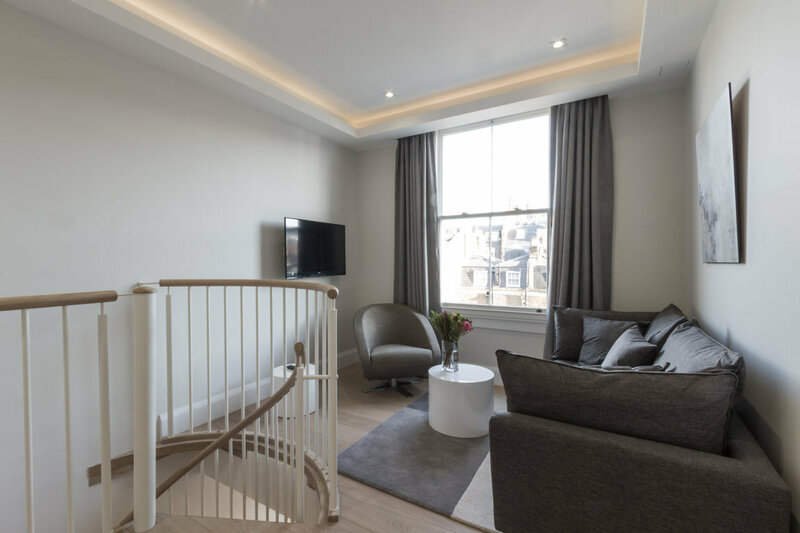 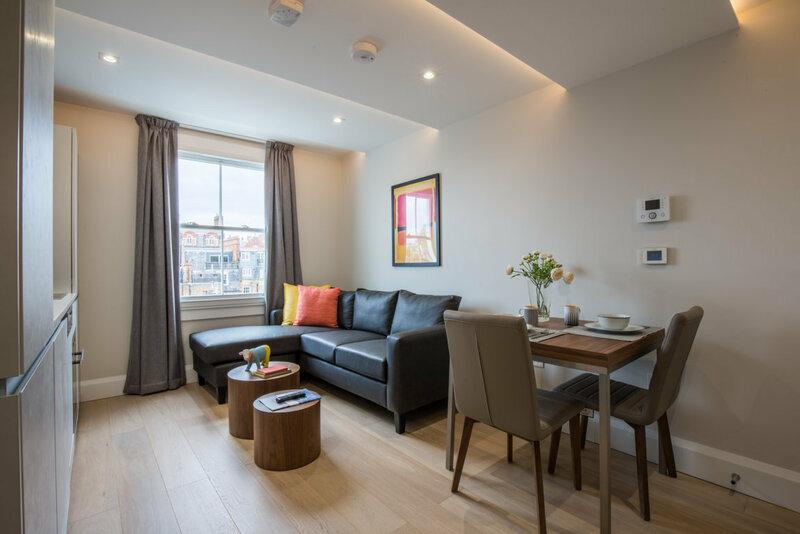 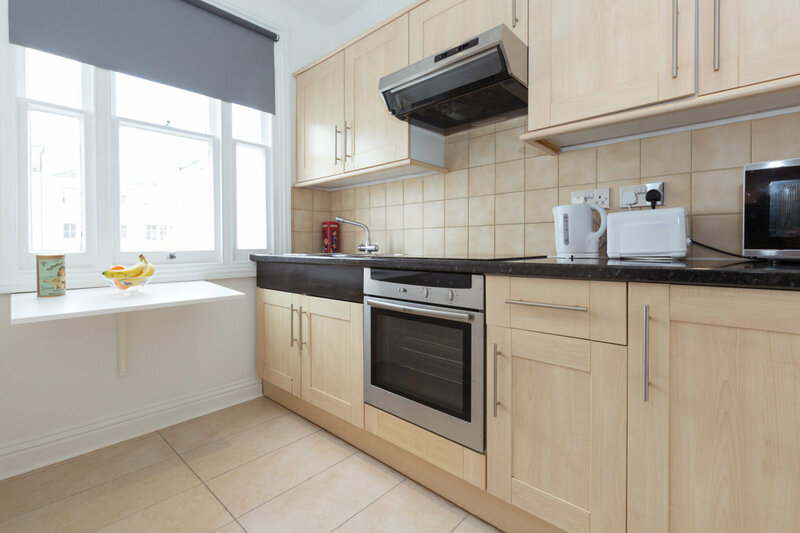 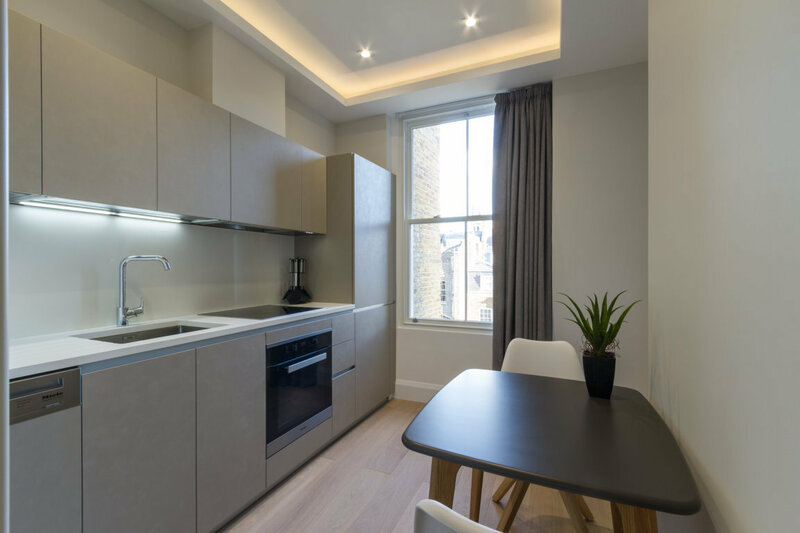 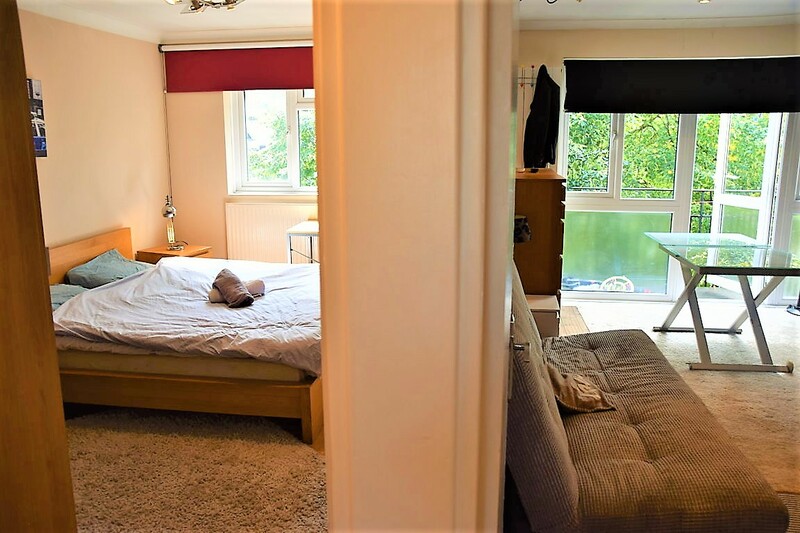 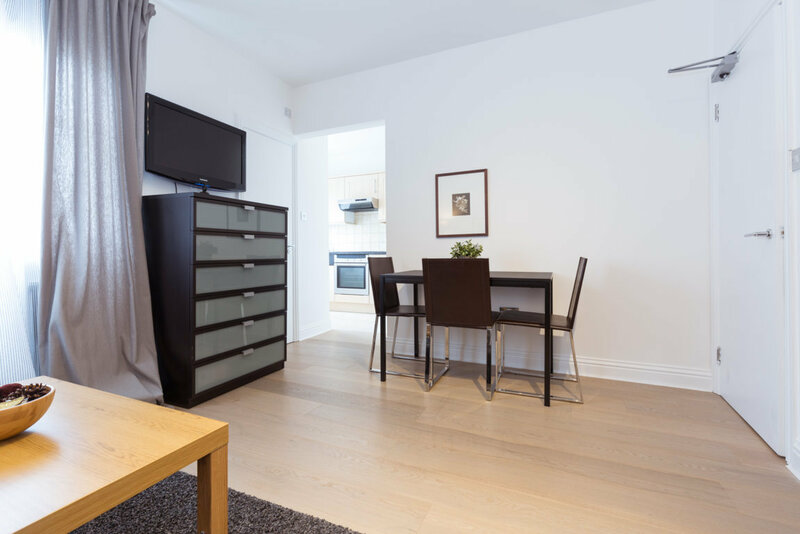 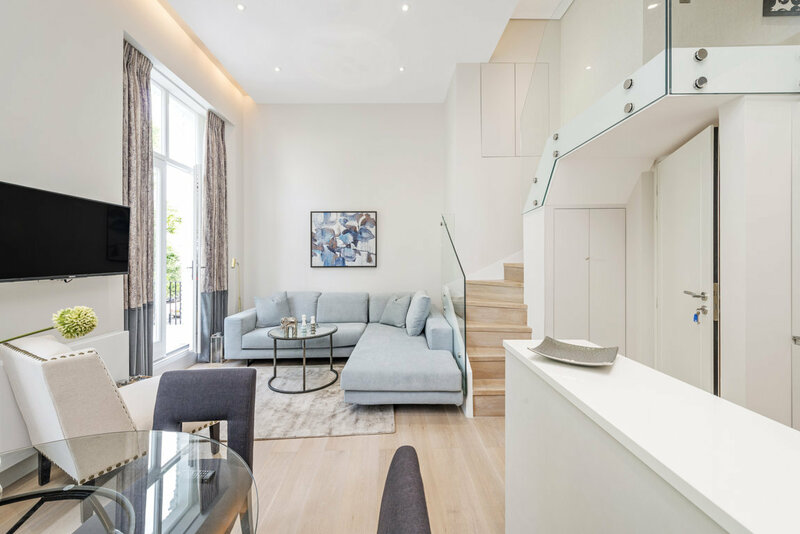 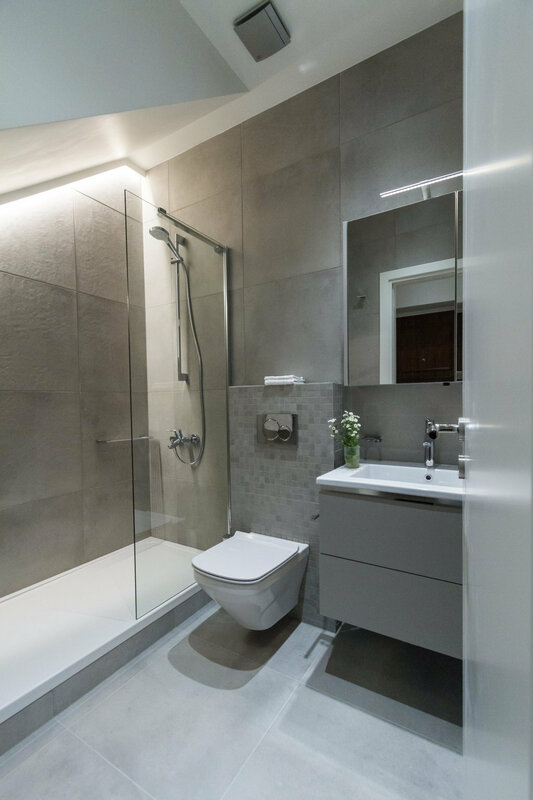 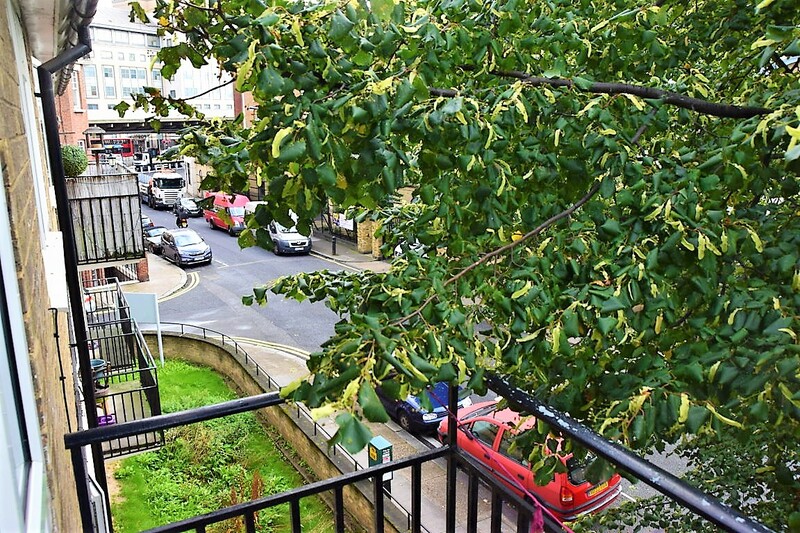 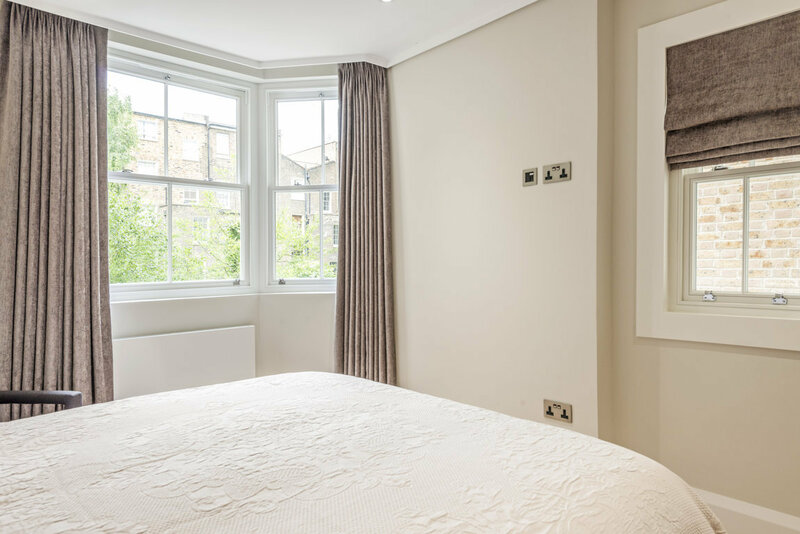 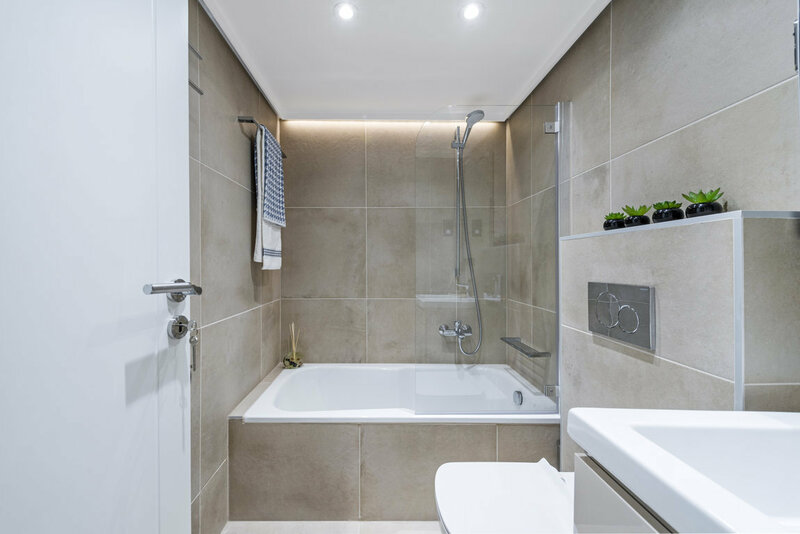 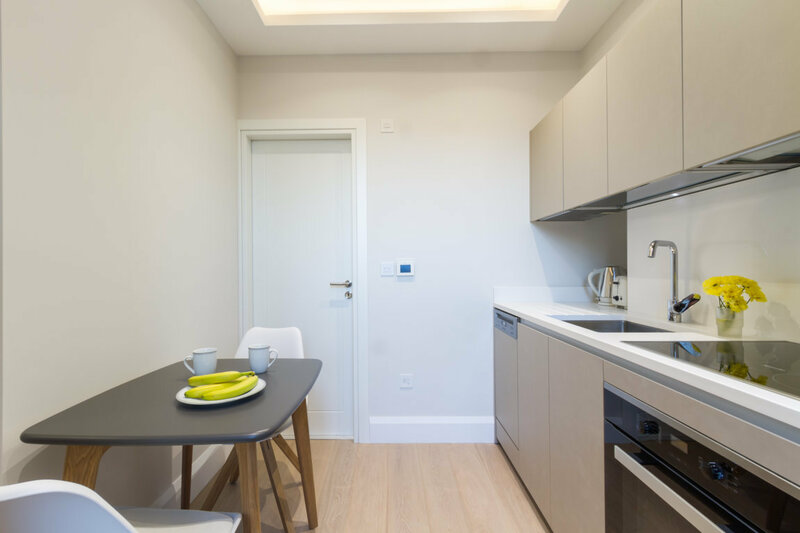 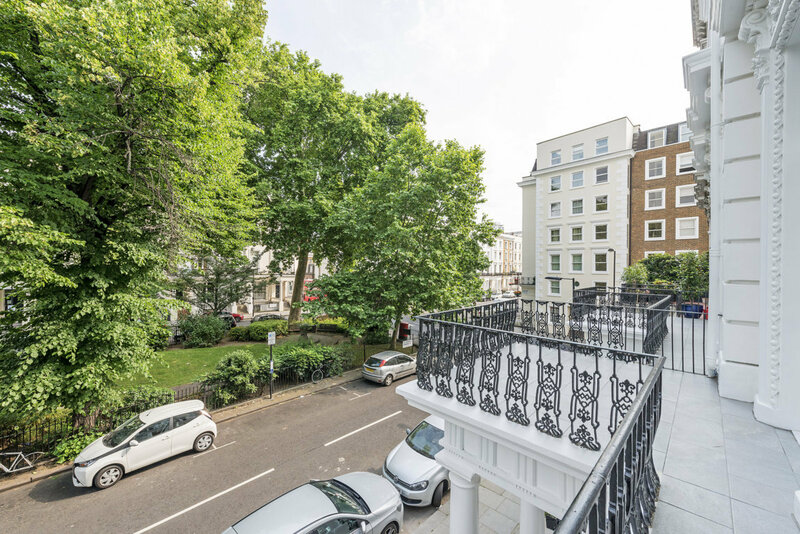 The apartment is conveniently positioned within a 5 minute walk of Hammersmith Tube Station which connects with London’s Underground and rail network. 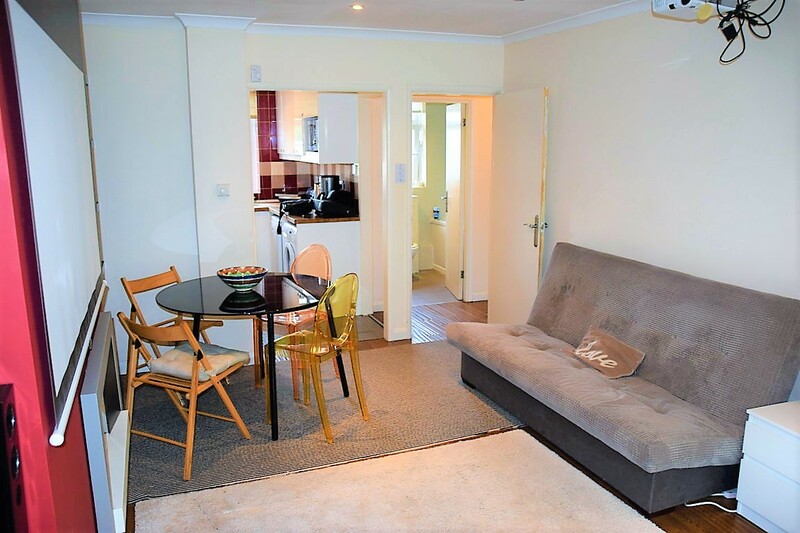 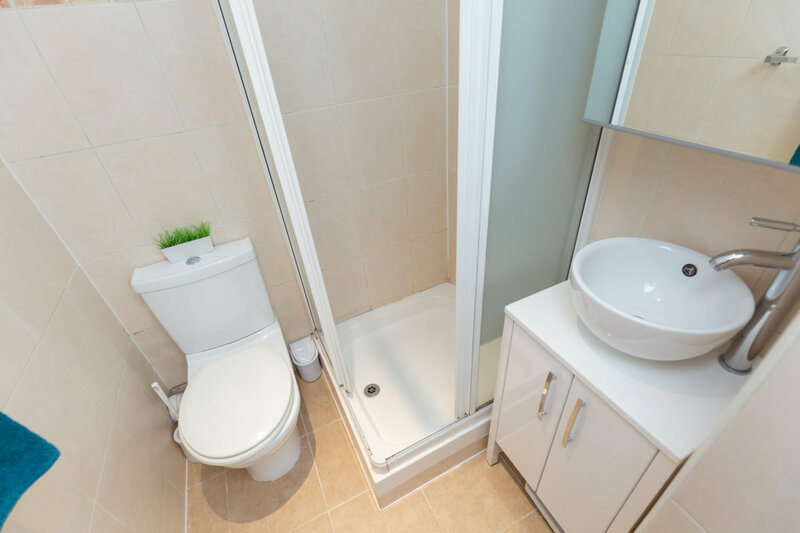 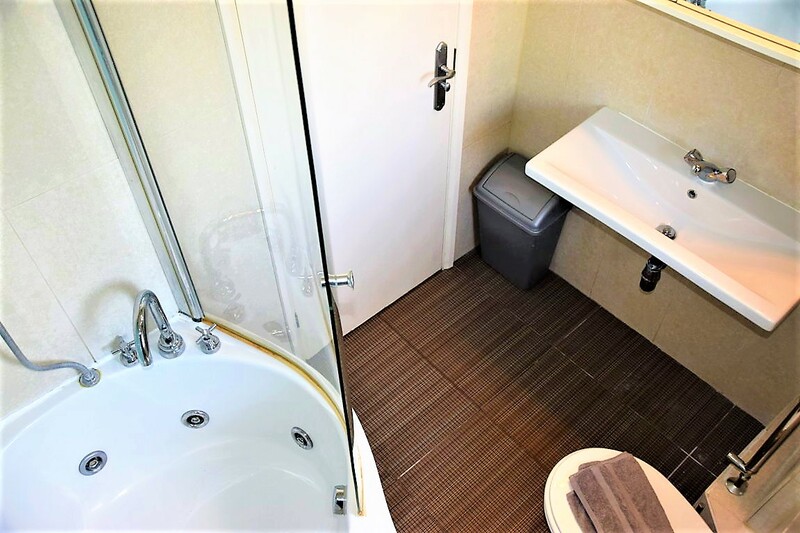 Accommodation comprises one bedroom apartment, with modern bathroom with bath tub. 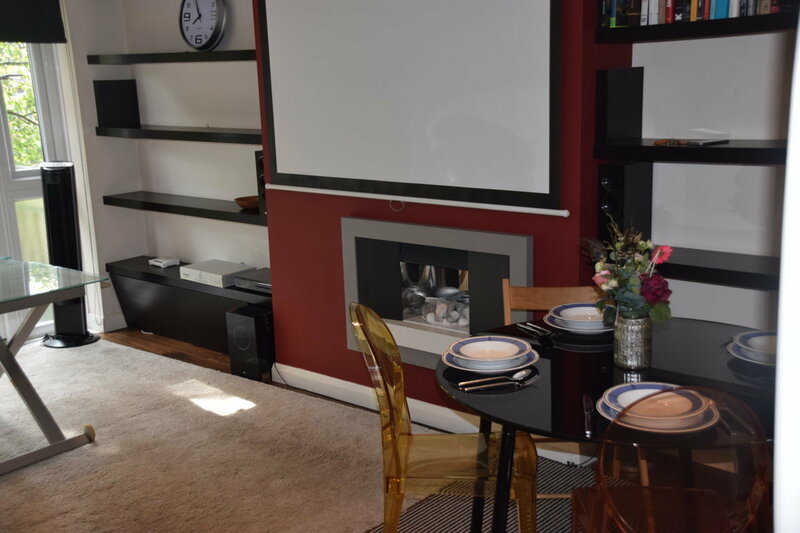 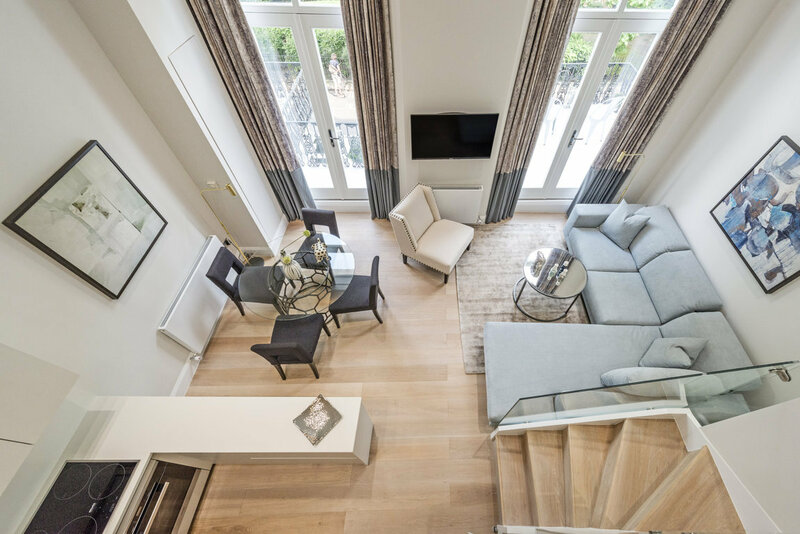 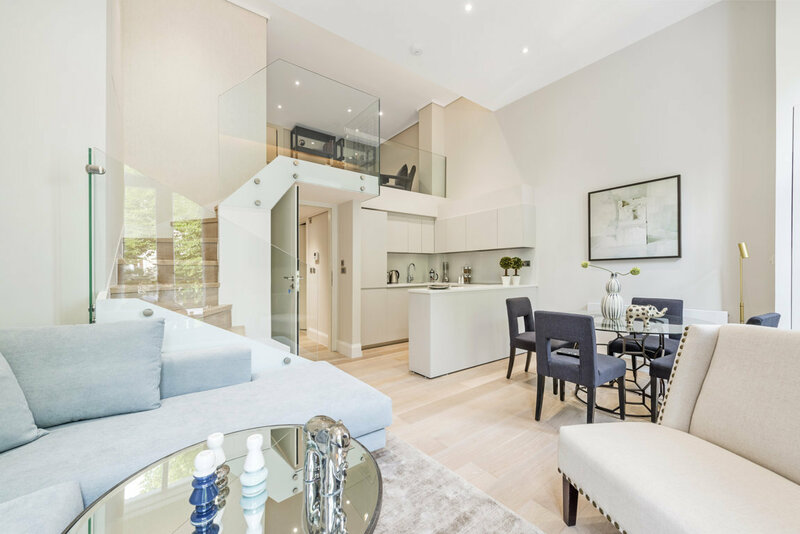 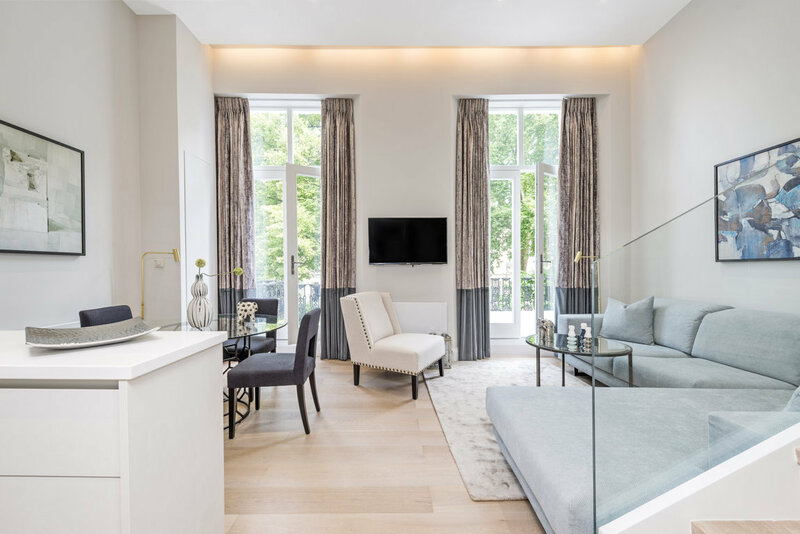 Spacious lounge dining area, sofa, TV projector, access to balcony and contemporary styled kitchen with integrated appliances including hob, oven, washer/dryer and dishwasher further compliment the interior design and quality finish that runs throughout. 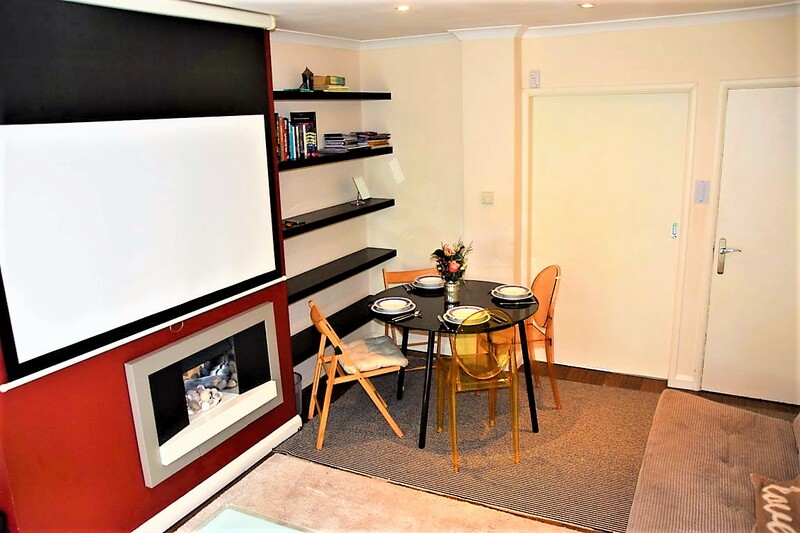 This apartment would ideally suit business and leisure travellers, being within close proximity to business offices and conveniently placed for local areas of interest such as Kensington Gloucester Road and Earls Court, both of which are a 6 minute tube journey, as well as young couple or familes, close proximity to shopping centre, APOLLO Theatre and nice park.